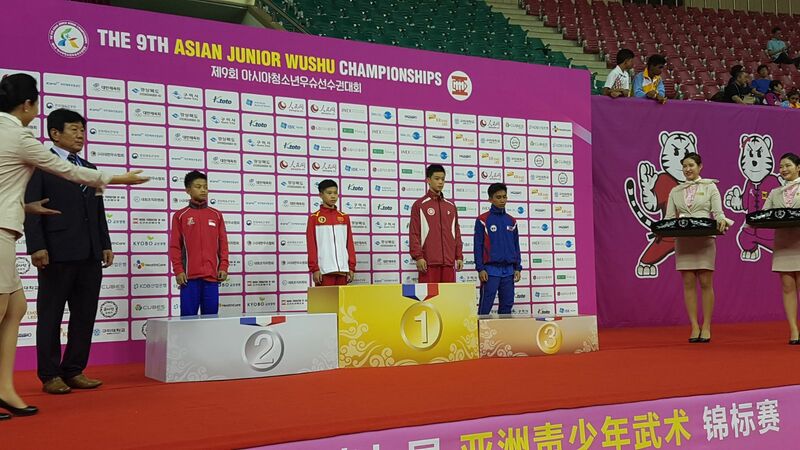 The biennal Asian Junior Wushu Championship has seen its first series of actions in Gumi City, South Korea. This exciting competition sees the culmination of talented youths from all over Asia, pitching their skills against one another. 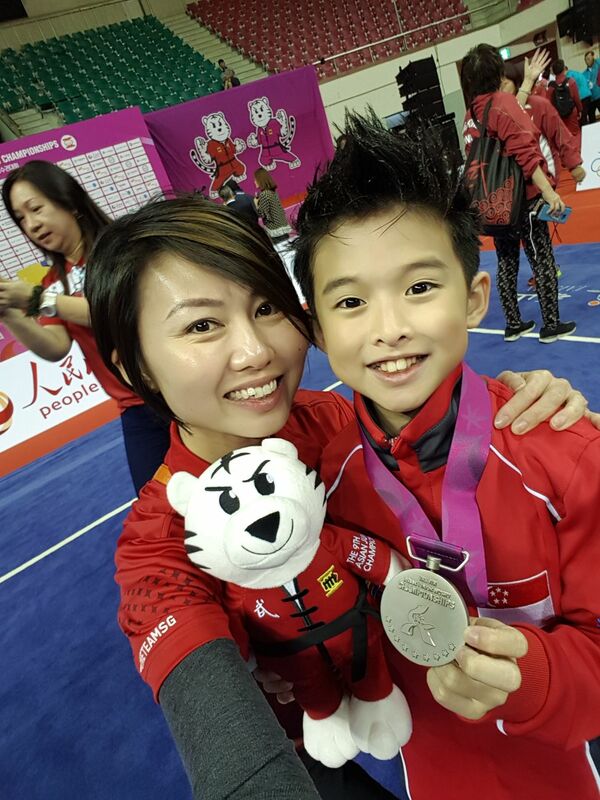 This year, Xuan Sports is proud to have a record number of athletes who made it to don the Singapore colours. Nicholas Loh, Berlynn Ng and Gareth Lau are making their debut appearances while Nicholas Ngooi, the veteran among them, will be competing in a higher age-group division for the first time. 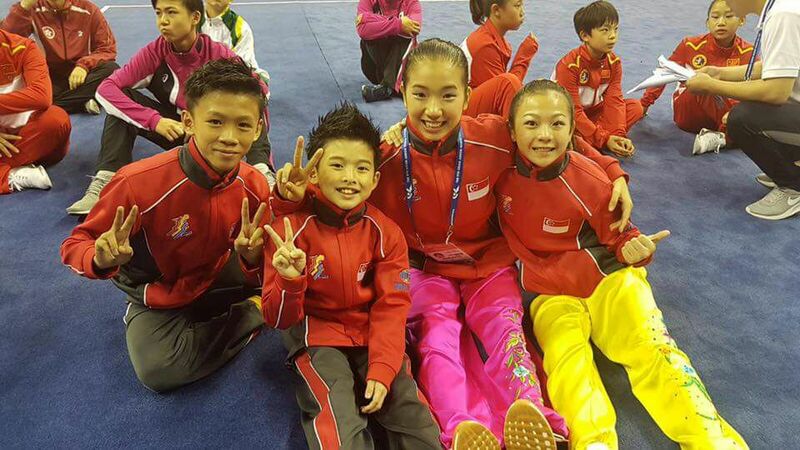 Little did we know, our four little warriors had to go through some gruesome training regime and strict selections to make it through to represent our nation in this competition. Overall, they all made great impact in their performances. 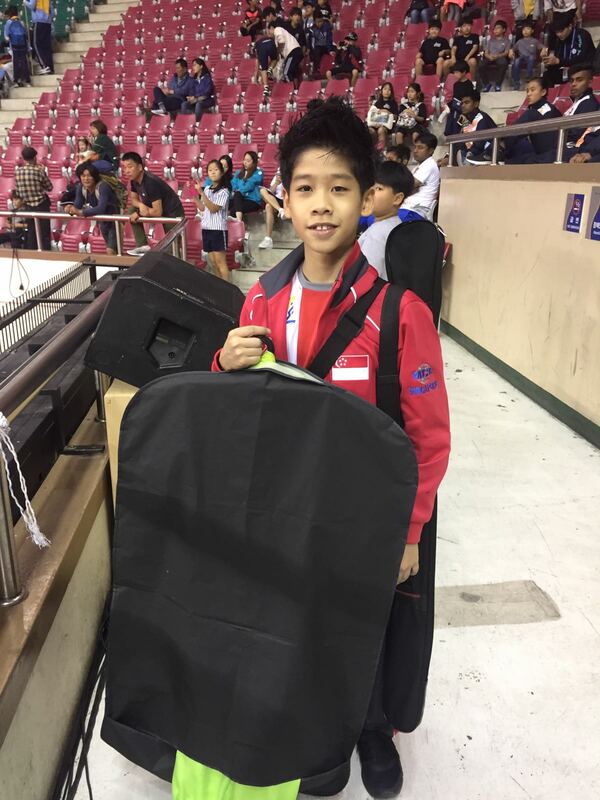 Gareth was placed fourth in his event - 'C' boys Dao Shu (broadsword event) - a decent showing for a first-timer in a major competition. 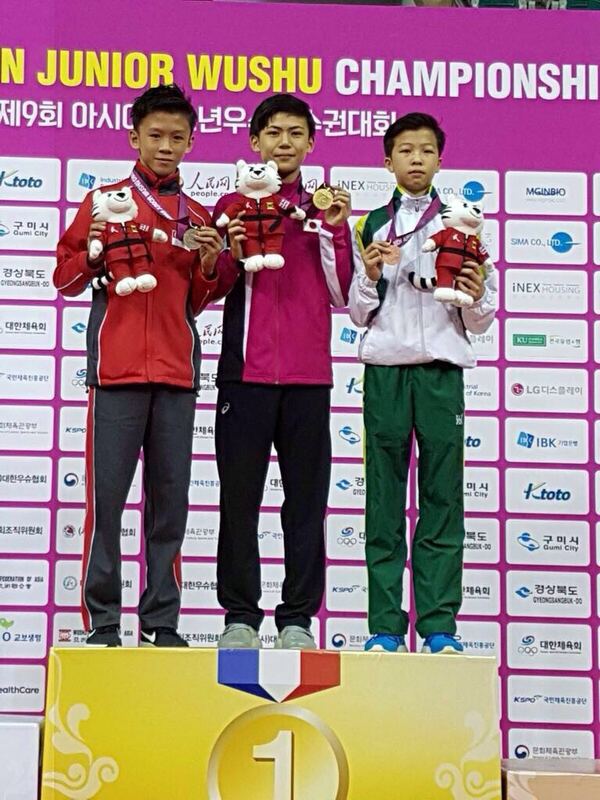 Nicholas Loh (affectionately known as 'Small Nicholas' in Xuan Sports), earned himself a silver in the 'C' boys Qiang Shu (spear event) and Nicholas Ngooi (also known as 'big Nicholas' by us) also won a hard-fought silver in the 'B' boys Dao Shu (broadsword event). 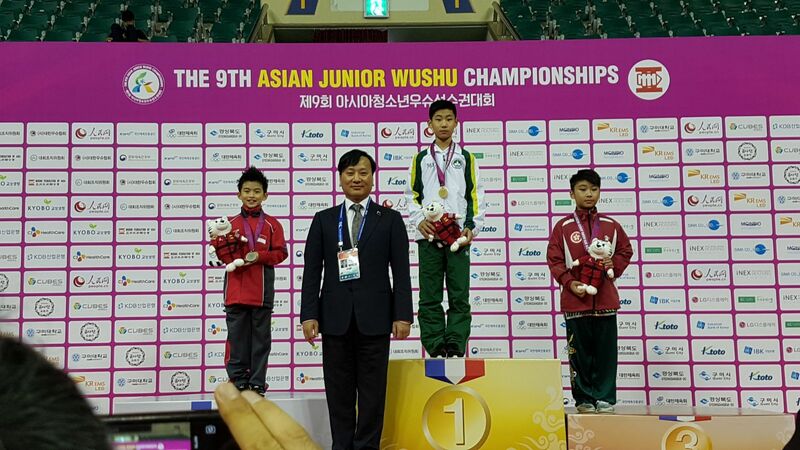 We are indeed extremely proud to have an Asian Junior Wushu champion among us in the form of Berlynn Ng. 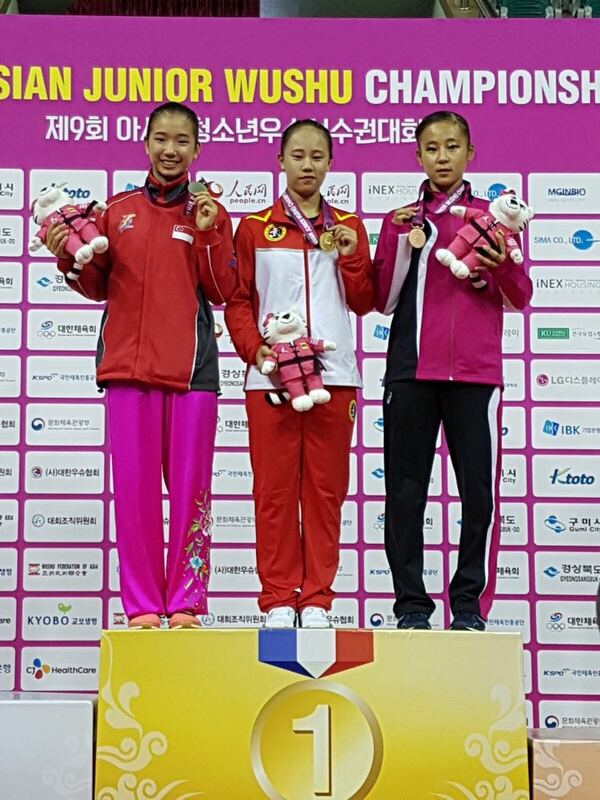 She has done the nation great honours with her gold medal in the 'C' girls Qiang Shu (spear event). This is an impressive showing for a first-timer and yet, it is by no means easy. Here, it is worth mentioning that two other athletes from the Singaporean side has also done the nation honours with their performances. 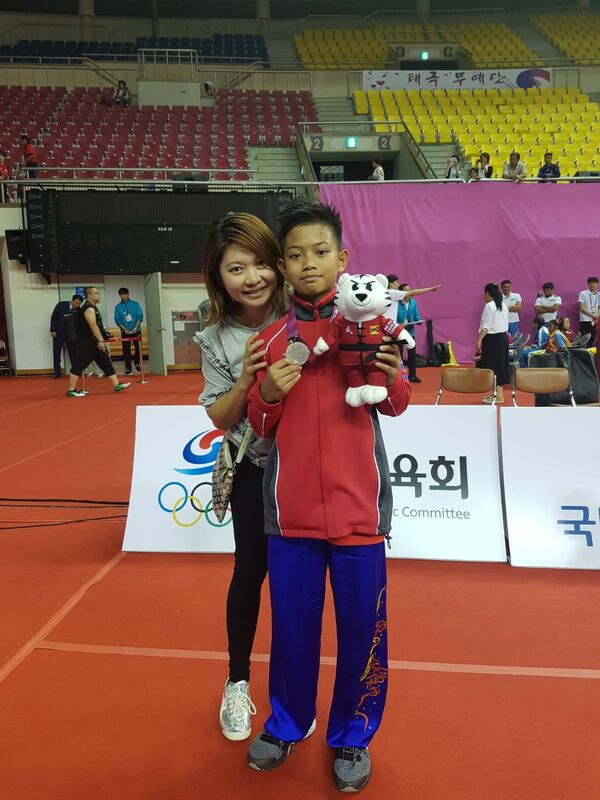 Malcolm Lai and Isabel Chua have both silver in the 'B' boys and girls Jian Shu (sword event) respectively. We wish to congratulate them on a job well-done. 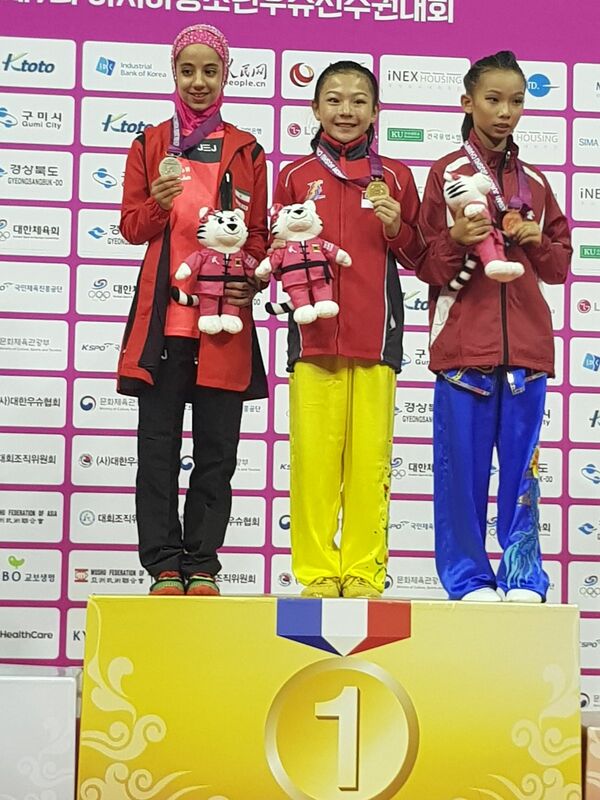 Overall, the Singaporean side has a pretty decent showing of five podium finishes among their athletes. As the competition progresses, we are hoping for more exciting actions and good news from them.